David Cameron's announcement today that the British government is planning to lease English roads to foreign companies as part of a new PFI scheme. The idea is that strategic roads will be leased to companies on a long term leases and in exchange they will get a share of road tax to pay for repairs and improvements. New roads will probably be toll roads but he's given us a Cast Iron Guarantee™ that tolls won't be applied to existing roads. The average interest rate on PFI deals is 8.5% but the British government can borrow money at an average of only 4%. PFI is poor value for the taxpayer so why would they choose PFI over a "cheap" loan? Because PFI is an off-book loan. It doesn't appear on the balance sheet so it covers up the extent of their unsustainable, unfunded borrowing. Instead of borrowing money to pay someone to maintain our roads, how about getting some of the 2.67m people who are capable of work but don't have a job to work on road crews? They're being paid for doing nothing at the moment, it's not unreasonable to expect them to give something back to society in exchange for their benefits. This will no doubt be denounced by left wingers who see being paid not to work as a right rather than a privilege but it's a win-win suggestion. People who are out of work long term start to lose their work ethic and self-esteem and their skills quickly get out of date. Get them working, give them on-the-job training, teach them practical skills and help them to get a job and start supporting themselves. Meanwhile, all this work that needs doing that we apparently can't afford to pay for can be done. You won't need a 4x4 to drive to the supermarket, grass verges won't look like meadows and the ground won't be carpeted in bottles, cans and food wrappers. The British government is always talking about responsibility so how about some responsible management of the economy from them and some individual responsibility from the population? 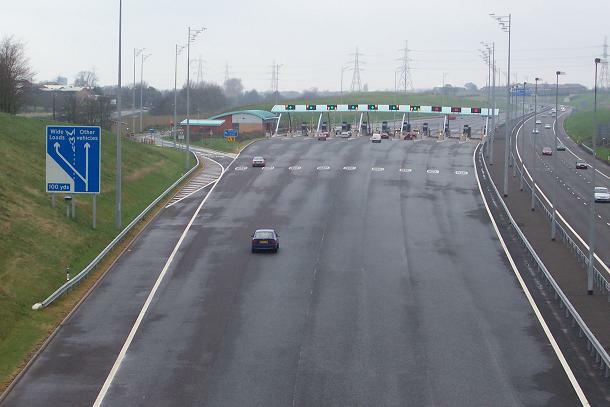 As for the idea of toll roads: just look at the M6 toll road as an example of how people feel about the idea of paying to build a road, paying to maintain it and then paying for the privilege of driving on it.